Hospitals in the United States spend more than $200 billion in administrative costs, according to a September 2014 report issued by The Commonwealth Fund. But what areas of hospital administration are driving this high cost? Discover some of the top expenses that U.S. hospitals face. 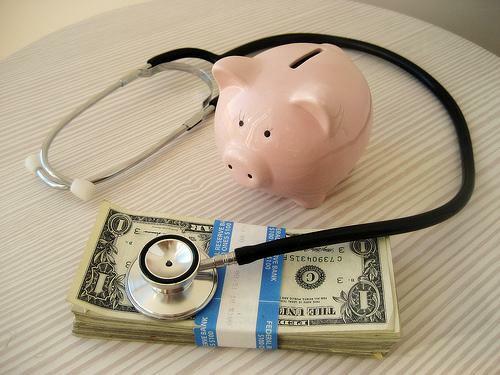 Supply costs are one of the most obvious costs hospitals face. These expenses refer to the cost of supplying the goods hospitals use. According to Dr. David Nash, writing for KevinMD, these costs include the price of various products such as intravenous solutions, wound dressings, operating tables, bed linens, cleaning supplies, and cafeteria food. Increasing supply costs, however, may not equate to increasing patient visits. As reported by Modern Healthcare’s Ben Kutscher, many hospitals incur supply costs that are increasing more rapidly than their patient volumes. Kutscher reports supply costs at Milwaukee’s Froedtert Health rose by 14.5 percent in the 2014 fiscal year, ending the year with a 5 percent operating margin despite a 10.4 percent revenue boost. It seems, according to Kutscher, that the increasing cost of specialty drugs and more serious patient illnesses drive this significant supply increase. While patient volumes may not rise, supplies continue to increase as a top cost when running a hospital. The Commonwealth Fund claims a quarter of hospital expenditure, or roughly $215 billion, comes from administrative costs. These costs include marketing expenditure, overheads associated with performing administrative tasks, and the salaries paid to employees responsible for coding and billing. For-profit hospitals typically spend more on administrative costs than nonprofit, public, teaching, and rural hospitals. A report issued by The Commonwealth Fund found U.S. hospitals spend more on administrative costs than hospitals in Canada, France, Germany, England, Scotland, Wales, and the Netherlands. The study noted factors such as per-patient billing and the need for administrative staff to negotiate multiple contracts as drivers of these costs. However, more careful money management could help local hospitals reduce their spending by more than $150 billion, as stated by The Commonwealth Fund. Gaining more knowledge in business functions through a health care MBA program may help increase money management skills in a hospital setting. The salaries paid to employees responsible for coding and billing are not the only wages taking a toll on U.S. hospitals. Kutscher cites higher wages as a key driver of rising operating costs in hospital systems in San Francisco, California; Gainesville, Florida; and St. Cloud, Minnesota. In addition, the hospitals in Gainesville and St. Cloud also reported staff increases fueled operating cost rises. Not only are hospitals in these cities paying their employees higher wages, but they are also paying more salaries, according to these figures. Dr. Maria Yang, writing for KevinMD, highlights the diverse number of workers most hospitals employ in her article, “These Are the People Who Work in a Hospital.” From doctors, nurses, and therapists to janitorial, clerical, and food services staff, a variety of people who contribute to a hospital’s operation must be compensated. Hospitals are some of America’s largest employers. For example, according to MSN Money, California’s largest employer, UCLA Health System, employs approximately 35,543 workers. The Indiana University Medical Center, Indiana’s largest employer, has more than 30,000 workers, including 2,111 physicians. While all of these workers ensure the success of hospital operations, they also draw a significant amount of hospital revenue. Careful spending in all of the areas outlined above can help America’s hospitals run effectively and on budget.